Ever since Election Commission in India imposed a restriction on Narendra Modi’s Chai Pe Charcha in India, morning tea hasn’t been exactly thrilling for most Indians. 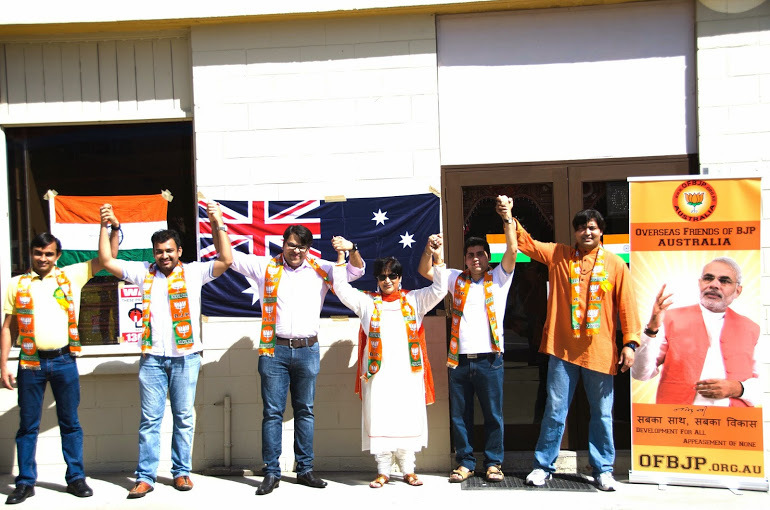 So OFBJP Australia decided to inject what has been missing off lately and revive the temporary lull in one of the favourite leisurely indulgances with constructive discourse for Indians in Brisbane. 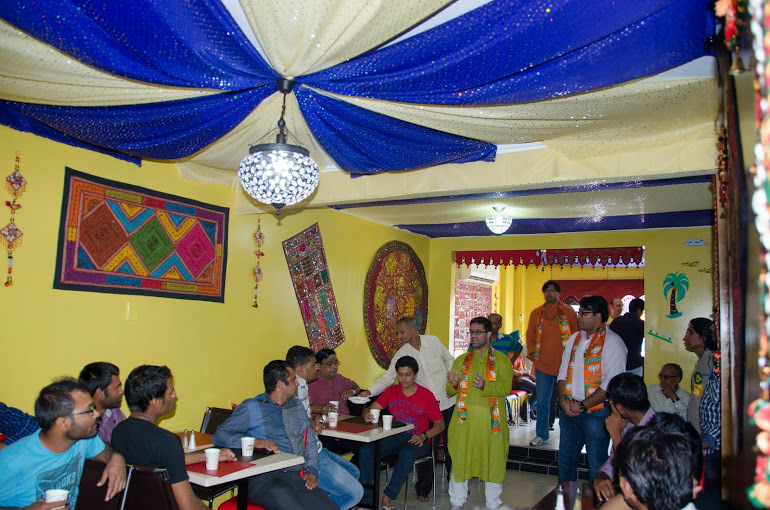 The venue was apt for this event with the Indian eatery shop bearing the name ‘NAMO’. 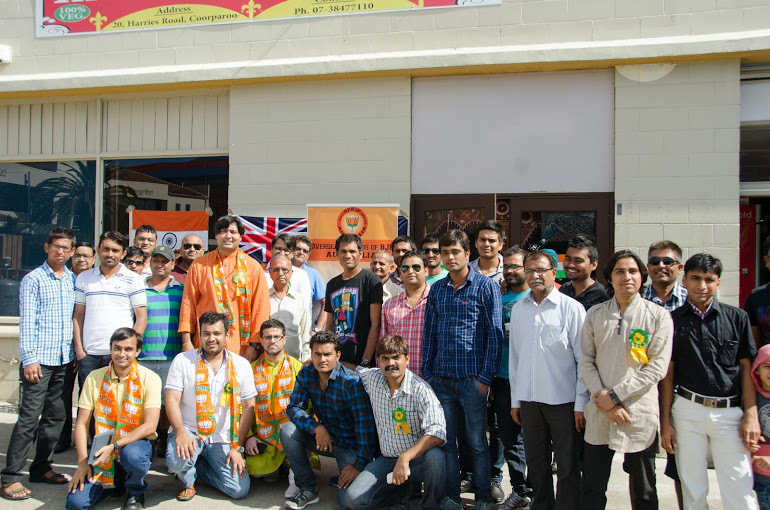 OFBJP Australia – Queensland Chapter organised a Chai Pe Charcha event on 27th April in Brisbane. As Modi wave surges to astronomical proportions and the next phase of elections in India unfolds with voting taking place in full swing, room for further mobilisation of support for Shri Narendra Modi exists. It is not hard to sense the prevailing national mood in India. For the first time in many years a collective sense of consensus for a national leader is emerging among eloctorate as people of India have mentally decided to award Shri Narendra Modi Prime Ministership of India. As the popularity of Modi Ji cuts across regional boundaries, it furnishes an opportunity to embrace and connect with fellow countrymen from every corner of the country. It is evidently clear that it is going to be clean sweep by BJP in the Northern and Western states of India. However, for the BJP to emerge the single largest party with clear majority in Parliament, it is pertinent for BJP to win Loksabha seats from the regions which has not been traditionally BJP’s foot holds – Southern states of India. So the rationale behind holding Chai pe Charcha was to push OFBJP’s limit to mobilise support for Narendra Modi. A sizeable attendance of enthusiastic Modi supporters were encouraged to not just solicit votes from the near and dear ones back in India but from countrymen they were familiar, residing from Kashmir to Kanyakumari and from Rann of Kutch to Tripura. The idea communicated was to be not being just satisfied with the existing efforts but to rise a level higher and go all out to solicit votes for Narendra Modi across the length and breadth of the country. Elections in Gujarat are due on 30th May, so are in the newly created state of Telangana. BJP played an instrumental role realising aspirations of people of Telangana who were longing for the state since Indian independence in 1947. Hence, BJP and in particular Narendra Modi enjoys tremendous affinity and goodwill among the people of Telangana. 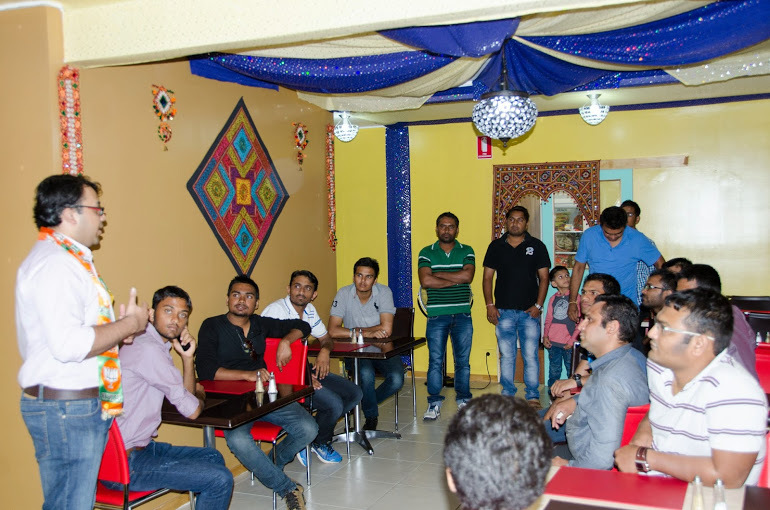 Chai Pe Charcha facilitated mingling of Gujarati and Telangana communities as free exchange of ideas took place. OFBJP took the opportunity to educate non Telangana people on the Telangana issue as OFBJP member from the region Nikhil Reddy Ji delivered a talk on history and other pertinent issues related to Telangana. In addition to that OFBJP member from Jammu and Kashmir Ashutosh Raina Ji enlightened the gathering on the plights of Kashmiri Pandits, who have suffered travesty of justice for over quarter of a century since 1988. Furthermore, Shubham Karodi Ji, a high octane member of OFBJP, shared his ideas on the need to restore and protect Hindu Sanskriti for the next generation Indians. Finally, the author conveyed the goals and mission of OFBJP to serve Indian community in Australia and to foster peaceful, fulfilling and constructive relationship between Indians and Australians. Overall, the bonhomie was palpable as the people enjoyed sipping cups of tea, snacks and discussing some of the vital issues concerning Indians. The overriding feeling among as the people dispersed post tea was that Indians would soon gather for Chai Pe Charcha. But this time it would be not for the Prime Ministerial candidate but the Prime Minister himself!